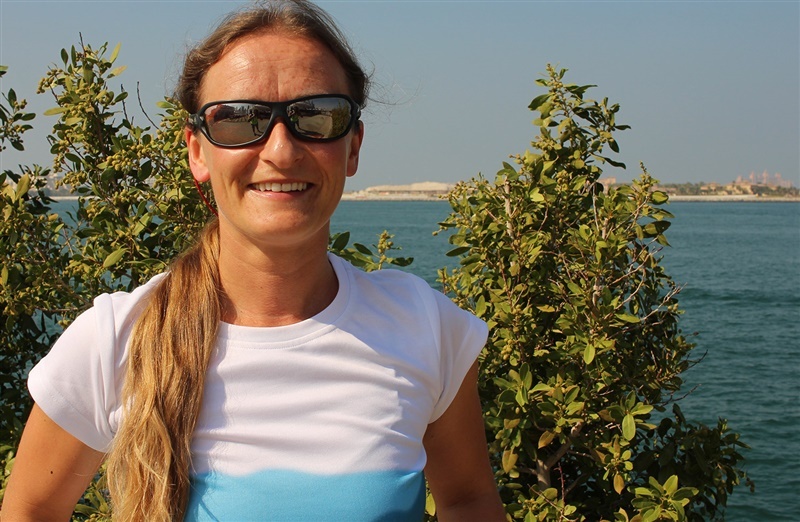 Nicole Schmidt from Germany, has been flying paragliders for 11 years. For the last six she's been performing aerobatic tricks, or "acro". It's a discipline very few women attempt, and this year Schmidt, 35, won the female World Championship. We found out what it takes to be the only female acro pilot jumping out of the helicopter here at the FAI World Air Games. Why did you start competing? As a pilot you never think you're good enough. And that's especially true of women. After I'd been flying acro for a while, a pilot I really respected told me I was good, and that I should compete. I said, "Really?" but then I tried it, and I did quite well. So I learned to believe in myself. It gave me a lot of confidence. Why are there so few female acro pilots competing? With the newer breed of gliders the sport of acro is getting safer, but still it takes a lot of training. Maybe that's part of the reason it's been like that in the past, but now it's so much fun to train there's no more excuse. I think men and women react differently to risk and to having a bad experience. Men are more willing to put it to one side, but women tend to think about it more, so getting over a psychological set back takes longer. What needs to happen to get more women in the sport? I'd like to see more women in the sport. I'm trying to encourage more women. The problem is we don't have enough women-only competitions. Often the competition format means the lower-ranking pilots get cut after the first round. That's really demoralising, and staying in the sport is all about keeping up your motivation. What's a successful flight for you? Competing on the circuit is like being part of the family. The other pilots are happy there are girls taking part. If you are confident, then you will enjoy your flying. The competition is a game, it doesn't matter what the score is. Could a women ever beat the men? It's nearly impossible. But sometimes when I land and I take my helmet off, people say "Hey, you're a girl! But you're flying like a boy." So actually maybe we could. Never say never. You can see Schmidt competing again at the Palm Dropzone tomorrow.